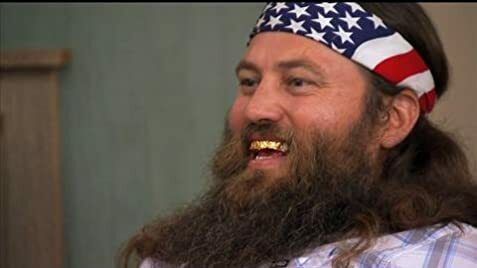 How many episodes of Duck Dynasty have you seen? The boys are back for The Outdoor Channel's "Buck Commander: Protected by Under Armour". Hold on to your seat because with this crew, anything can happen. My sister is responsible for introducing me to Duck Dynasty. Her entire family loves this show, and after watching several episodes I can see why. I am generally not a fan of reality shows, but this is just plain fun. The Robertsons have a very dry sense of humor and harbor some real characters in their clan. I do wonder where they find the time to actually manufacture their duck calls as they seem to be busy approving their kids' boyfriends and girlfriends, teaching Willie's daughter to drive and getting into all sorts of trouble. But this is one close family and it's really a pleasure to watch their escapades. 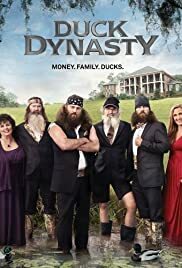 Warning: The Robertsons are a huntin', shootin', fishin' type family; vegetarians may not enjoy watching catfish getting gutted on screen or other animals (snakes) shot to smithereens. 14 of 37 people found this review helpful. Was this review helpful to you?